Its located at 1st and Columbia, near the sports Stadiums in downtown Seattle. Don't forget to invite your non musician friends down for the craic. but its key that we support these businesses to ensure they keep em going. Fado's session is open to all experience levels, so come pull up a chair and join the circle. 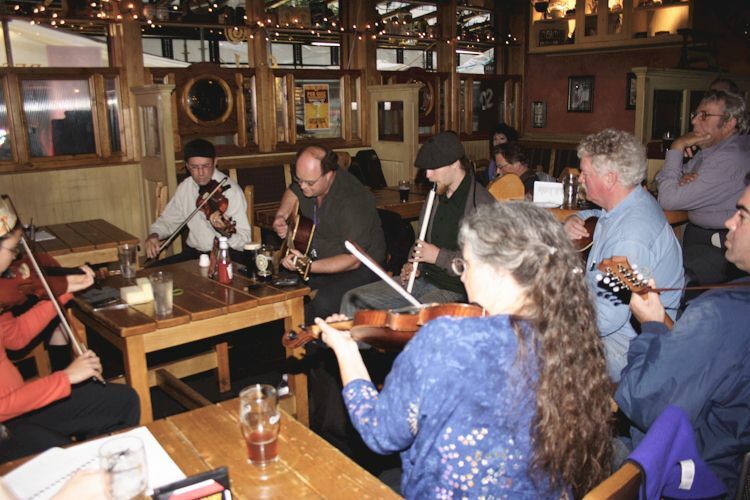 Non-musicians are welcome to just sit & listen and Fado's menu features Irish specialties.